It shows "Out of resolution" on the local display monitor. We have the limitation of resolution with NVRsolo local display. 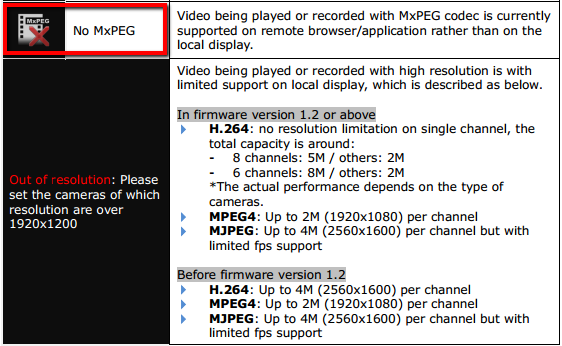 The maximum resolution of NVRsolo local display differs by video codec. Noted that there is no such limitation in the client PC where you use Remote live viewer, as long as the CPU is powerful enough to handle.